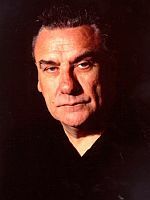 Bill Ward (born May 5, 1948, Birmingham, England), known as a member of the original line-up of the legendary British band Black Sabbath, is an important drummer in the history of heavy rock music. Prior to the formation of Black Sabbath, Bill Ward and guitarist Tony Iommi played in a band called "Mythology", and joined vocalist Ozzy Osbourne and bassist Geezer Butler, who had played in a band together called "Rare Breed". Between 1970 and 1980, Ward played drums on every Sabbath album. He left the band for personal reasons in August 1980 during a tour for the album Heaven and Hell. He sat out one album (1981's Mob Rules) before returning for 1983's Born Again. He once again left the band following the recording of that album, due to ill-health. He was officially back in the band again in the summer of 1984, but the band did not record or tour then. Before the full-blown reunion, Bill Ward and the original Sabbath had re-united twice for short sets, firstly for Live Aid in 1985 and then at a Costa Mesa, CA Ozzy Osbourne show on November 15th, 1992. Sabbath, with ex-Judas Priest singer Rob Halford replacing the recently-departed Ronnie James Dio, opened the show for Ozzy in honor of it being his last show ever. Then the Ozzy Osbourne band (Ozzy, Zakk Wylde, Mike Inez, Randy Castillo and John Sinclair) did a full set before Ozzy was reunited with Tony, Geezer and Bill for four numbers. 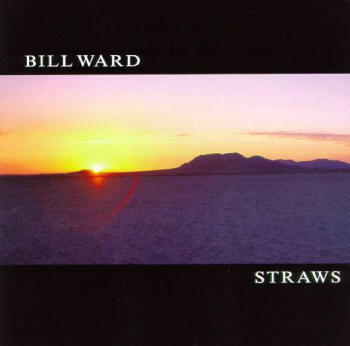 Ward made a brief return to the band for a South American tour in 1994, before finally rejoining the band for the two shows at the Birmingham NEC, England on December 4th and 5th 1997, which made up the 'Reunion' album. (When what was billed as the original line-up reunited for the Ozzfest tour in 1997 Mike Bordin played drums.) Ward then had to skip all but the last two band appearances in 1998 whilst he recovered from a heart-attack suffered during the tour rehearsals that May. As was the case in 1980, he was again replaced at short-notice by Vinny Appice, although this time it was always intended to be a temporary absence for Ward, health allowing. Thankfully he was well enough to return for good in 1999 and has remained with Sabbath ever since. Ward has dealt with alcoholism and drug abuse during his career, as well as severe depression. After leaving the band, Ward made three suicide attempts. In addition to playing drums, Ward sang lead vocals for two Black Sabbath songs; "It's Alright" (from Technical Ecstasy), and "Swinging The Chain" (from Never Say Die! ).